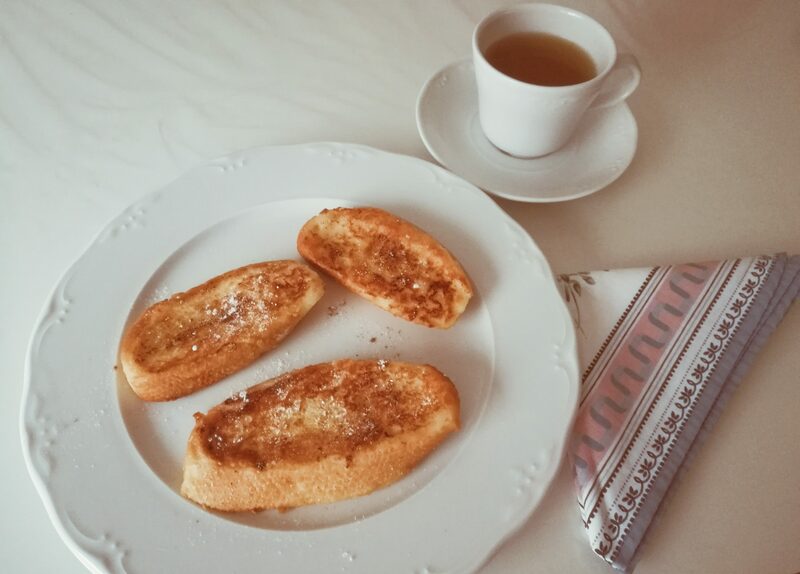 Today I want to share with you a typical recipe from Spain that’s called “Torrijas” but a lighter and healthier version. In Spain it’s typical to eat them on father’s day. My mum made some the other day and I asked her to teach me, so I could show it to you. 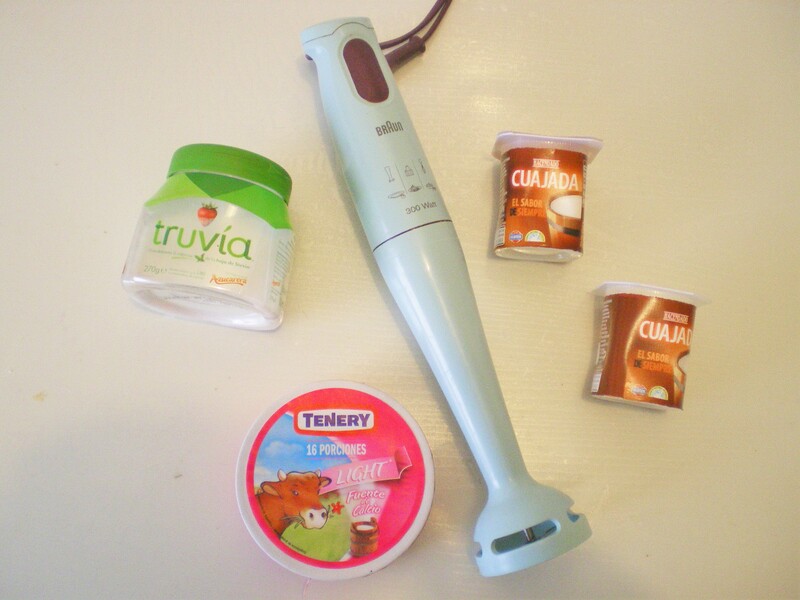 Today I want to share with you a mug cake inspired in the Tiffany’s jewellery boxes. 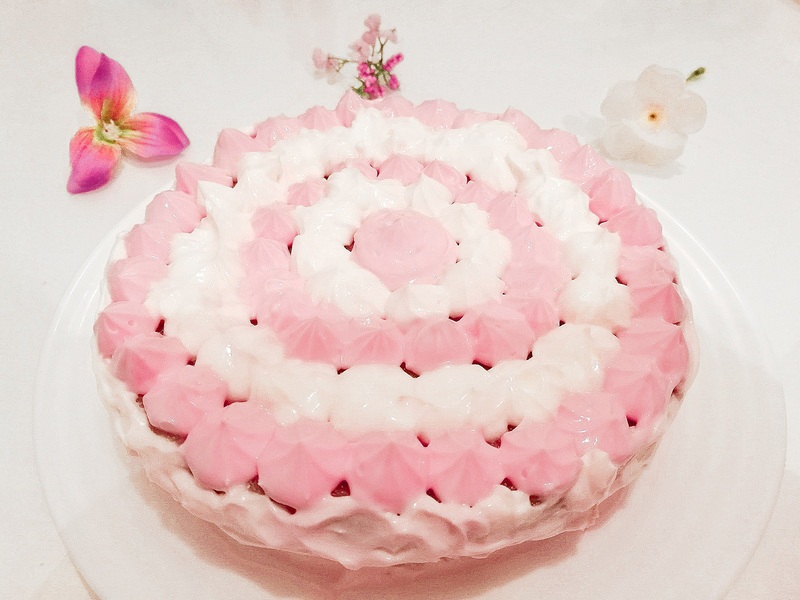 I feel like these colours are perfect for a winter cake but the pattern looks really feminine and dainty. I feel like with this cake you can have a proper Breakfast at Tiffany’s haha (I know, it’s a terrible joke). Today I want to share with you a delicious mug cake that I’ve been loving this Autumn. It’s super easy to bake and really quick. I believe Autumn is the perfect season to bake delicious treats and cinnamon is the perfect flavour. Since Autumn is right behind the corner today I want to share with you a delicious and light Autumn drink and how to DIY your own mason jar. I don’t know why but in Autumn I really feel like baking and drinking delicious hot drinks with it. I’m sorry I haven’t posted in a while but I’ve been extremely busy. 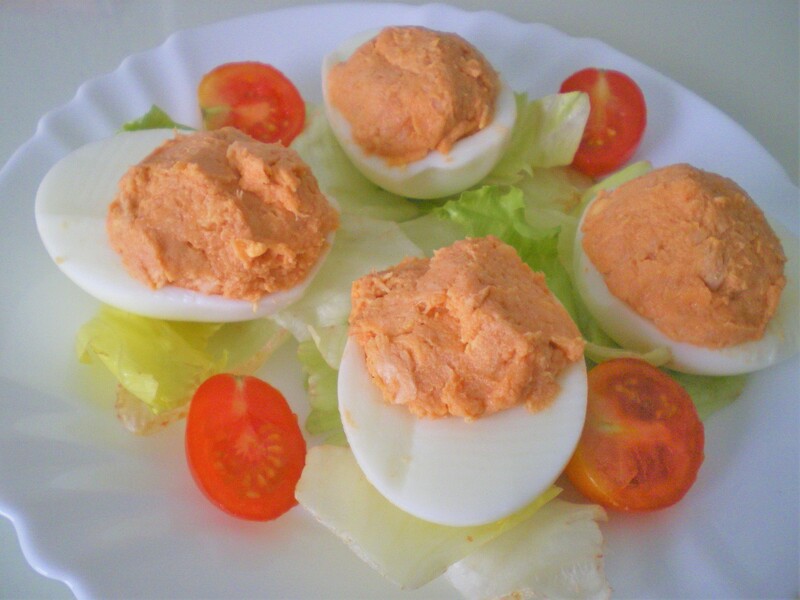 Today I want to share with you a super easy and delicious recipe that we usually make in Spain for Summer, it’s stuffed eggs. 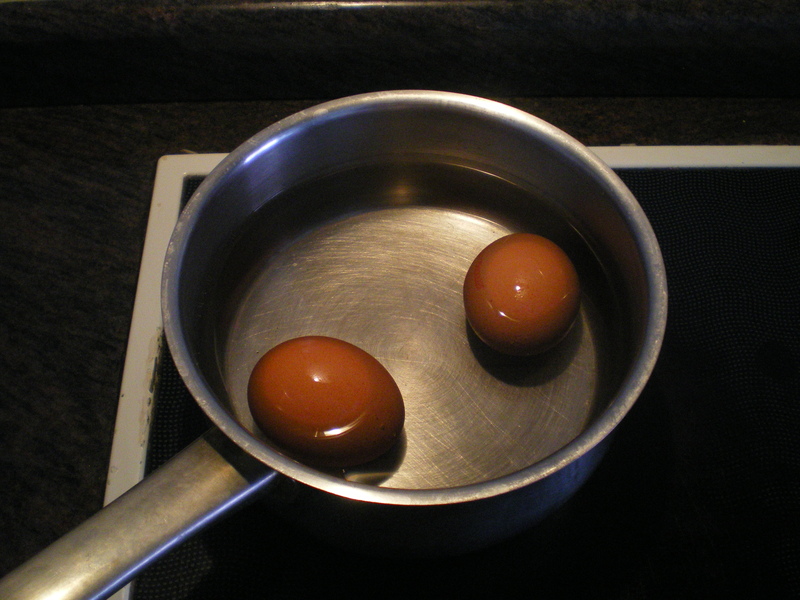 To make this you should start by boiling the eggs, it’s good if you turn them around for time to time so the yolk stays in the middle of the eggs once it’s boiled. 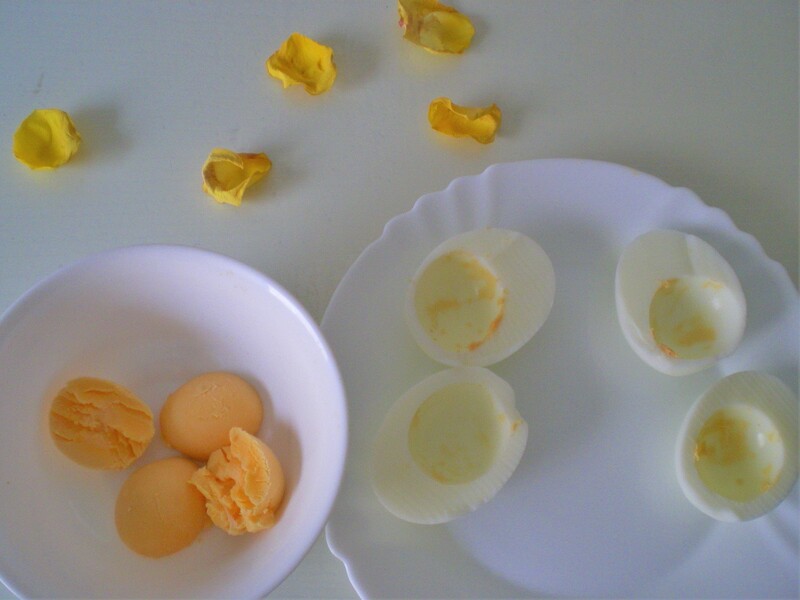 Once they are boiled just peel them, cut them in half and carefully separate the yolks from the white part of the egg. 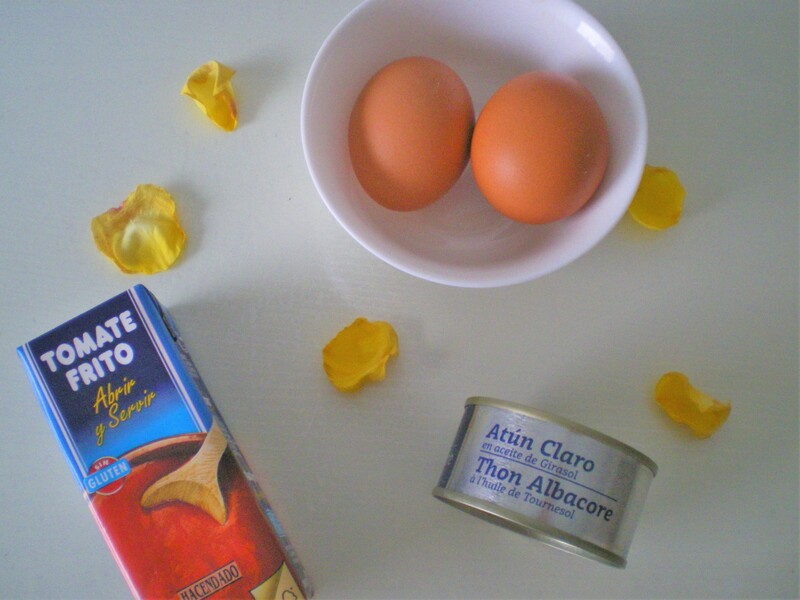 Put the yolks in a bowl with the tuna and some tomato sauce. 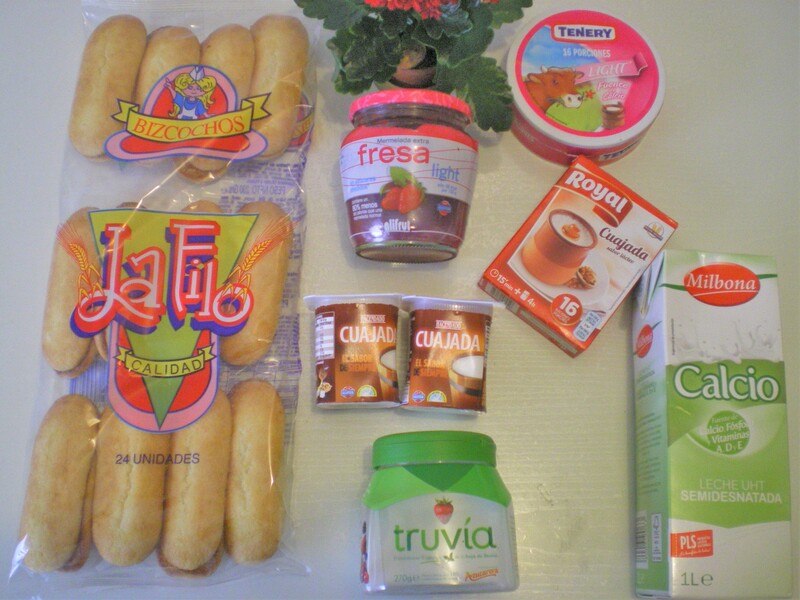 Mix them with a fork until you get a kind of uniform mixture. 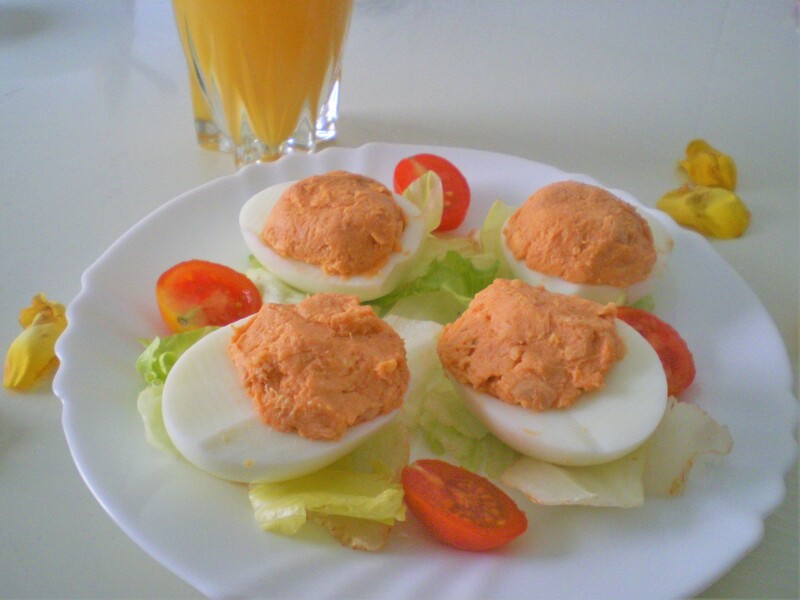 You could also change the tomato sauce for mayonnaise but I prefer it this way because it’s healthier. 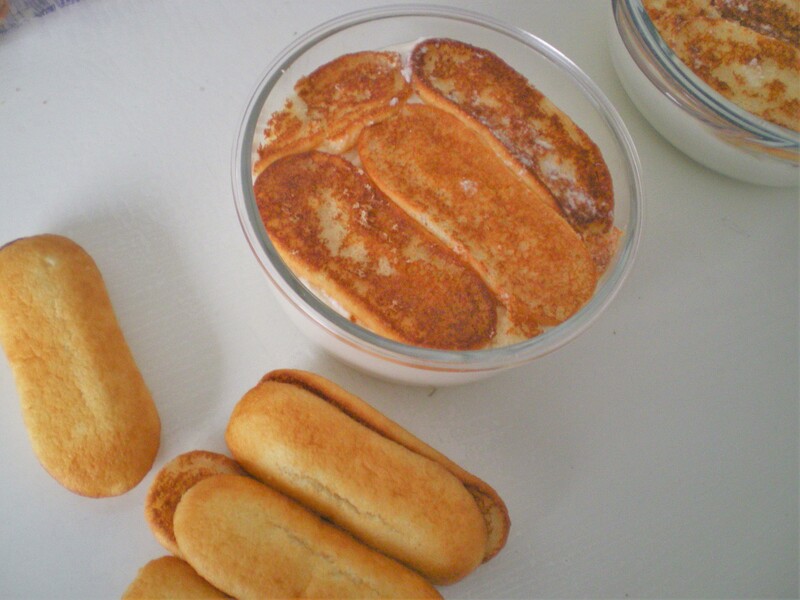 What’s the typical Summer recipe in your country? What’s your favourite Summer recipe? 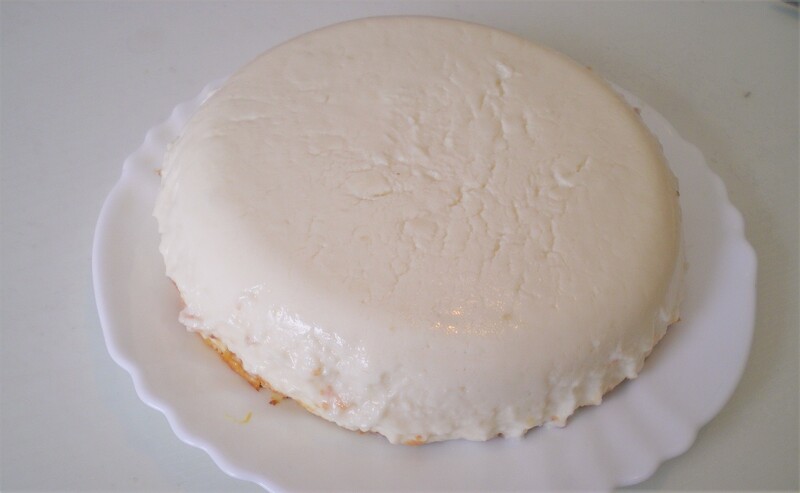 Today I want to share with you one of my favourite recipes, it’s a curd cheese cake. My mum used to make it for me when I was younger but she stopped baking it, so for my birthday I asked her if she could bake one and teach me how to do it, so this way I could teach you. I love this cake because it’s super tasty and it isn’t very unhealthy because it doesn’t have a lot of sugar or grease. First we begin to mix the three curd yoghurts, the 8 triangle cheeses and 3 spoons of stevia with a mixer until we get a uniform mixture. 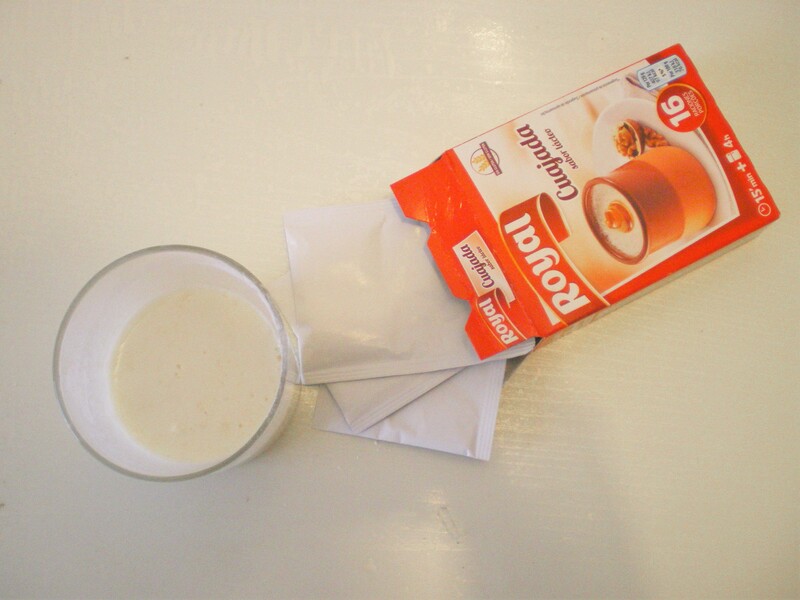 From the 1/2 milk litre we put away 100ml and we mixed them with the two envelopes of curd powder and 1 spoon of stevia. 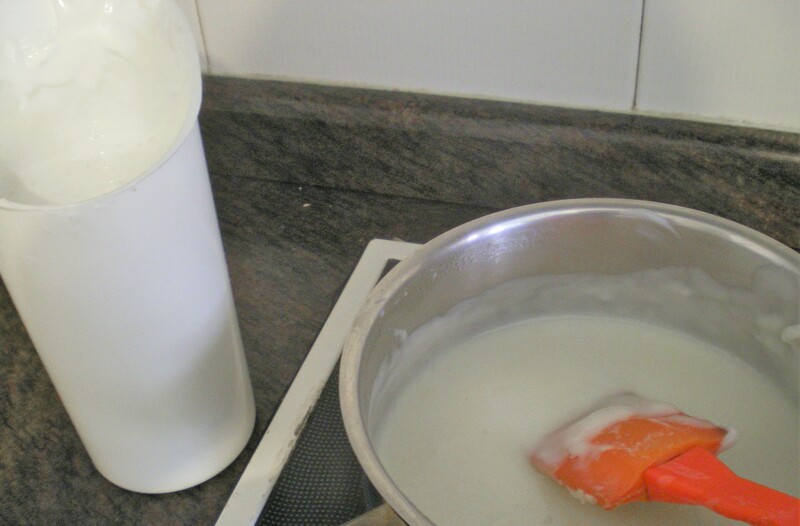 We put the rest of the milk in a pot and we wait until it boils, then we add the 100ml of milk that have been previously mixed with the curd powder. We put it away from the fire and we mix it, with the previous curd yoghurt and cheese mixture, until it’s uniform and we pour it into a mold. Then we put some soft sponge fingers on the top of the mixture in order to use them as a base. We leave it in the fridge for three or four hours and we take it out of the mold. If you want you can put some jelly on the top, I’d recommend to use cranberry marmalade. If you want you can decorate it some other way because it already tastes amazing by itself. For example I decided to decorate it with some frozen cranberries and a nut. So this is the final result. 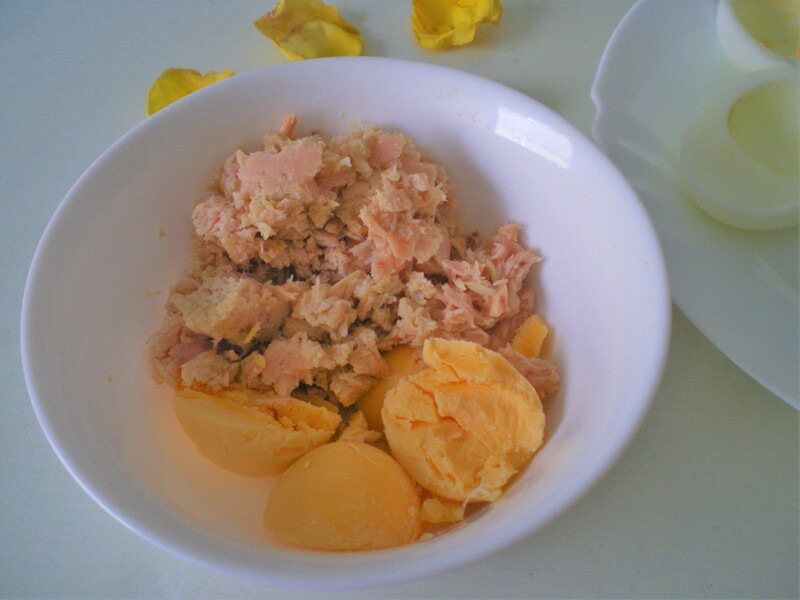 I hope you liked this recipe and if you try it at home I’d love to see the results, so you can share them with me trough twitter or instagram. 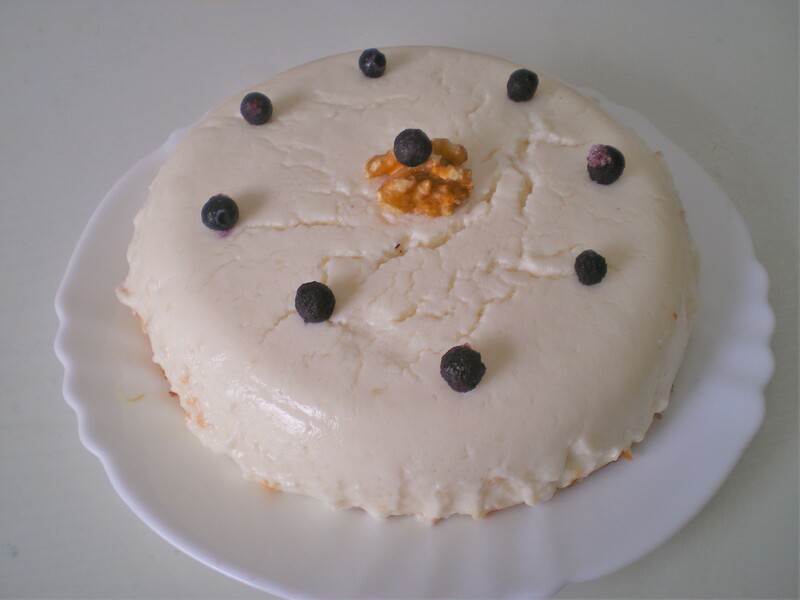 Have you ever heard of curd cake? What’s your favourite cake?